La ser-cut keys are similar to basic keys, although the blades are thicker and usually have fewer grooves cut into them. Laser-cut keys also typically are cut in the center of the blade rather than along the edges. Laser-cut keys are generally thought to be more secure than basic keys, as locks made to accommodate laser-cut keys are difficult to pick due to the complex internal geometry of the laser-cut key blade. However, replacing laser-cut keys can be expensive and many locksmiths lack the equipment required to cut and replace these keys. Laser-cut keys, like many modern basic keys, also have built-in transponder chips that need to be programmed. Laser-cut keys are becoming more popular for their security and functional features, but they are also more expensive to replace, often around $200 or more. Switchblade keys are also becoming increasingly popular among car manufacturers. Switchblade keys are not much different from transponder chip keys in terms of function, but they have blades that fold into the fob when they are not in use. Usually, the key holder presses a button on the fob that causes the blade to pop out. The blade can then be re-folded into the key fob when not in use. Switchblade keys use either basic or laser cut key shanks. The type of shank on the switchblade key can affect the replacement cost, as laser-cut blades are more specialized than basic blades. Switchblade key components can usually be purchased separately, which can be convenient if either the blade or the key fob is damaged or defective. However, if you lose your key entirely, a replacement can run between $200 and $300 for both components together, including programming costs. Smart keys are wholly electronic vehicle entry and starting systems that do not have the traditional key blade attached. Instead, smart keys communicate electronically to unlock the vehicle and start the engine. Some smart keys are even able to do this without being removed from the vehicle owner’s pocket through communication with antennas inserted into the vehicle’s body and frame, though others do require insertion into the dashboard. Smart keys were first introduced into the market in the late 1990s, and have since gained popularity among car manufacturers. Smart keys use ‘rolling security codes’ that make replication and theft nearly impossible. In fact, smart keys are only able to be replaced by car dealerships, making them some of the most difficult and expensive keys to get a replacement for. Some smart key replacements can cost up to $400, although others will be closer to $250. What Should You Do to Minimize Cost? Being prepared is the best way to prevent a key-related emergency. It is a good idea to always make sure you have at least one, if not two, spare keys that are easy to access in the event that you lose your primary key. In the event of a lockout, it is easy to incur costs that could be otherwise avoided by proper preventative methods, including tow costs and labor costs. In addition, if you lose the only key to your vehicle, you run the risk of having to replace all of the locks and even the ignition on the car, which can easily cost upwards of $1,000 and will require a significant time investment on your part. For anyone located in San Joaquin Valley, including the communities of Stockton, Tracy, and Manteca, The Key Guy Mobile Locksmith is an auto locksmith that offers excellent key replacement services at affordable costs. If you ever realize you have lost your keys or locked your keys in your car, just give The Key Guy a call for fast and efficient car locksmith services. 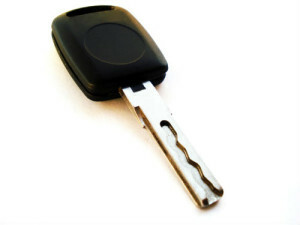 The Key Guy Mobile Locksmith is able to replicate most car keys, including transponder chip keys and laser-cut keys. The Key Guy Mobile Locksmith will come to you in the event of a lockout, saving you the cost of being towed to a dealership, hardware store, or brick-and-mortar locksmith ship. The Key Guy Mobile Locksmith employs only qualified, licensed locksmith professionals so you can be certain your vehicle is in experienced and educated hands.